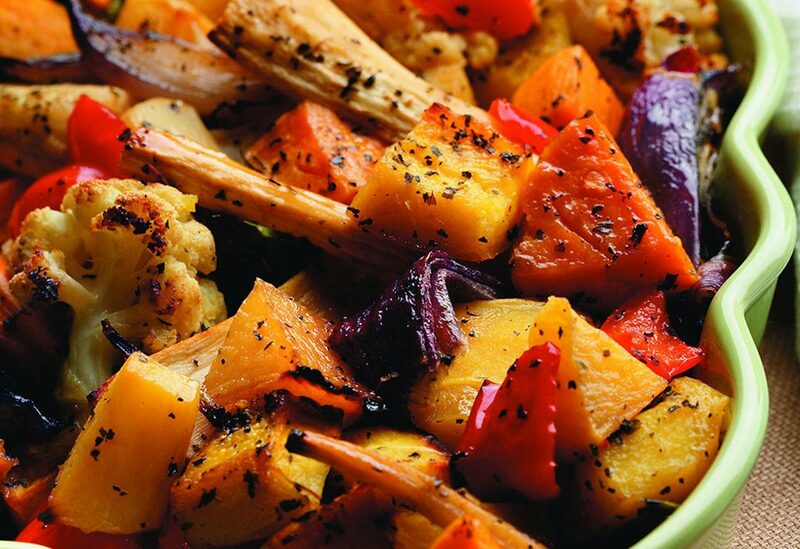 Roasted beets, sweet potatoes and bell peppers make a fabulous side dish to serve during cooler months. To prevent your fingers from staining while peeling beets, use a vegetable peeler under running water. Be sure to pat dry the peeled beets on paper towels before tossing with oil for proper browning. Canola oil’s smoke point makes it perfect for high temperature cooking. 1. Preheat oven to 425 °F (220 °C). 2. 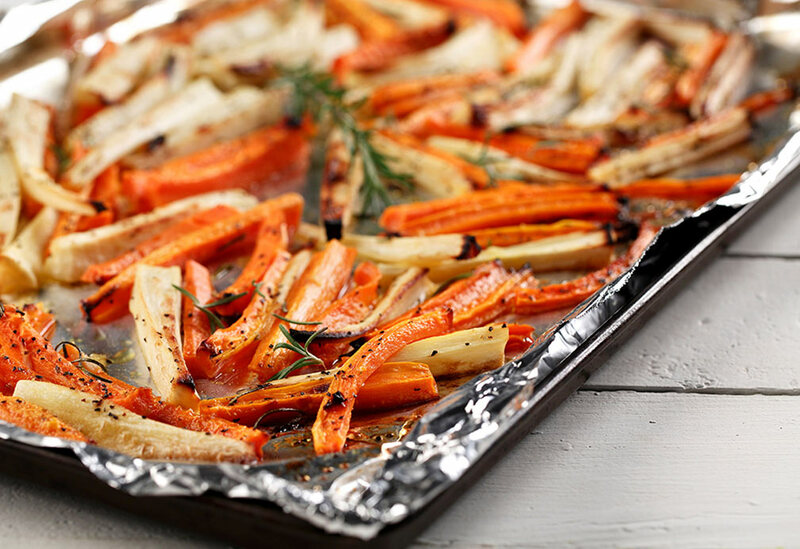 Line a baking sheet with foil. 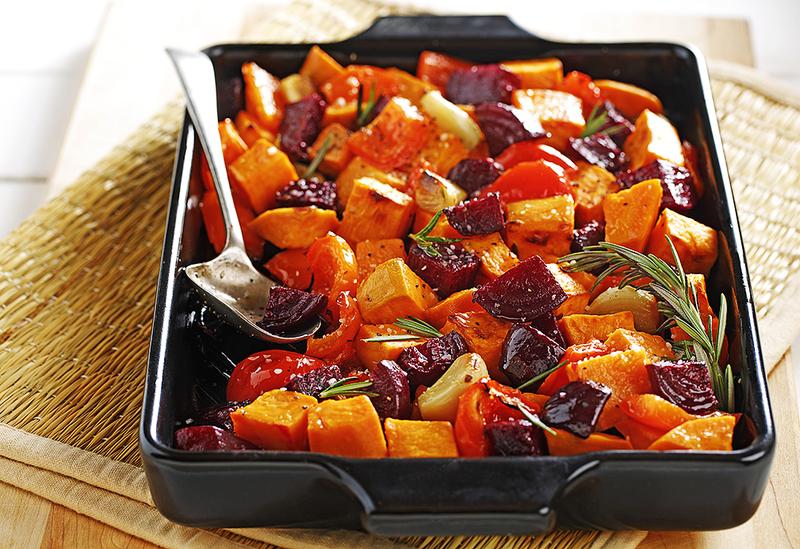 Place beets and potatoes on baking sheet; toss with oil and arrange in a single layer. Bake 10 minutes, stir in peppers and garlic. 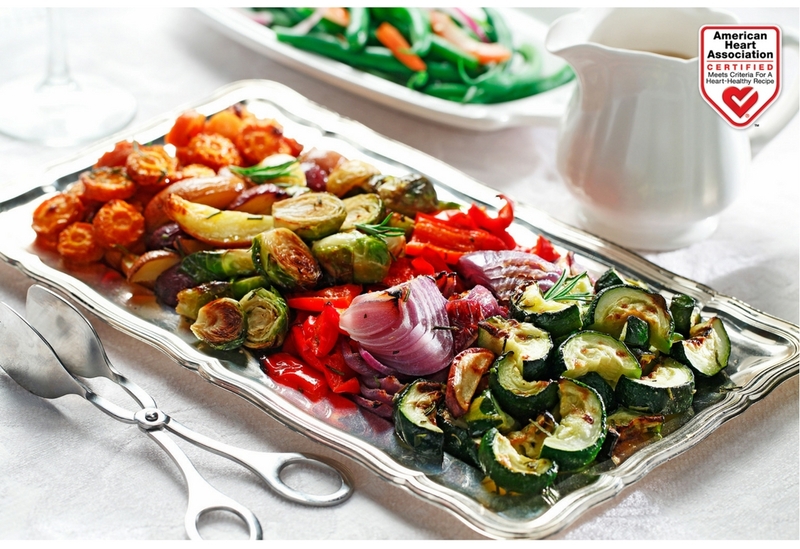 Rearrange in single layer; bake 20 minutes or until potatoes are very tender. Remove from oven. 3. Sprinkle with rosemary, salt and pepper. Stir gently; pull up the edges of the foil, seal ends and let stand 10 minutes to release natural juices and absorb flavors.